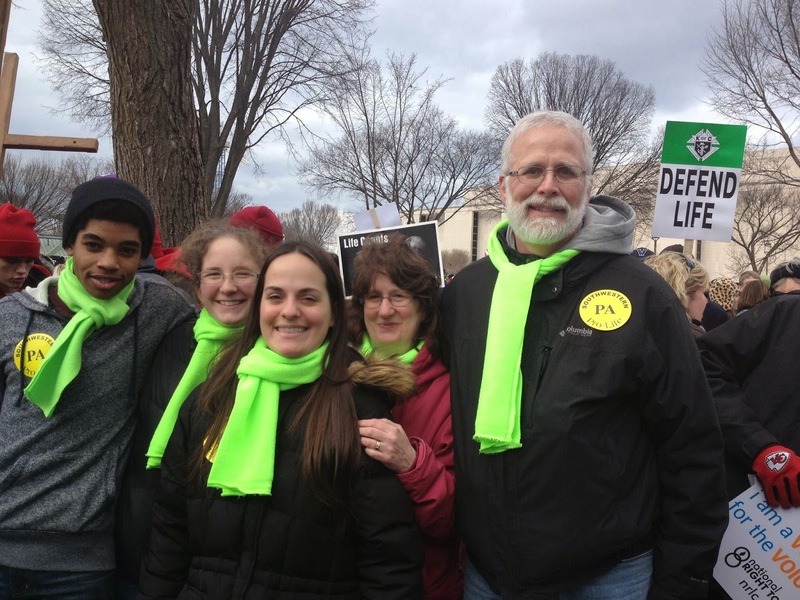 That was the trending hashtag on twitter for the 2015 March for Life in Washington DC. I'd been there a few times before, but it was the first time for my two youngest siblings. Why we march. There are a thousand reasons, and there's one reason. It was a good tag, I think. I could give a lot of reasons for why the whole abortion/pro-life issue is one that I will get passionately heated about, but when I thought about that tag? Let me be honest: my mind can't really process the concept that tens of millions of babies have been killed on purpose in my own country since 1973. What I can grasp is looking at my four younger siblings and thinking, This so easily could not have been. All four of them, adopted. All four of them unique with their own talents and quirks and stories. All four of them used by God to shape me into who I am today. They're my cohorts in trouble, fun, and life, my closest and longest friendships. The fight for life happens on a national level but also a myriad of more personal levels. It happens in marches in the nation's capitol and in adoption and foster-parenting and courageous decisions of birthparents, in education and in treating humans with dignity, in treating miscarriages like tragedies, in everything that goes into honoring God by how we treat other humans at every point in life. There are a lot of words in my heart on this subject, but I think a lot of them would just be noise, especially in a public place online. If you want to have a conversation, I'm glad to talk about my family and experiences. Just shoot me a message.